Miraculous Staircase | What Would The Founders Think? 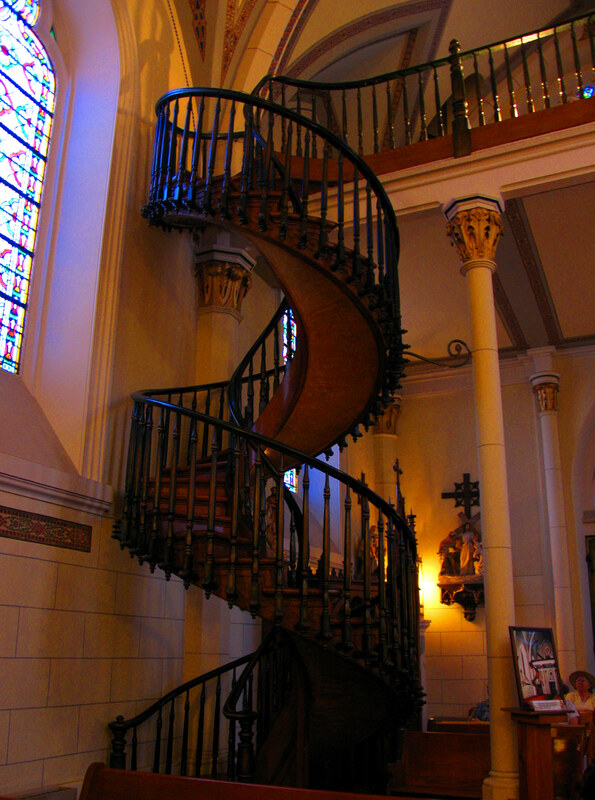 Reglan has diflucan otc us little or no activity in the colon..
A few years ago, my wife and I went to Santa Fe and had the opportunity to see the miraculous staircase in the Loretto Chapel. This is definitely an incredible thing. This chapel served as a convent and when completed in 1878, the builders neglected to provide access to the choir loft high above the floor of the chapel. The builders determined that access would have to be by ladder since the chapel was so small and so much room would be taken up by a conventional staircase. Legend has it that the nuns made a novena to St. Joseph, the patron saint of carpenters. On the final day (9) of the novena, a man appeared on a donkey laden with a few simple hand tools. This carpenter constructed the staircase without glue or nails and entirely by himself. On finishing this work of art, he disappeared – without receiving payment. His identity remains unknown. The wood used to construct the staircase is not indigenous to New Mexico. No one knows how it got there. The staircase is constructed of 33 steps and was not attached to the wall, neither did it have a central column for support. It was constructed entirely without hand rails – this made it rather scary to climb! Hand rails were added 10 years later, and they were done beautifully and complement the design. The staircase has held up remarkably well and shows only a little wear on the edges of its treads. Miraculous or not, it’s an amazing bit of carpentry, and it’s beautiful. I’m sure the “techocrats” today will have an answer! When they do, I don’t want to hear it because I personally like to believe in miracles.